In this conversation, Mary Cappello, author of the memoir Awkward: A Detour, explores the divergence between literary and psychiatric narratives of disease with Dr. Christine Montross, a practicing psychiatrist and poet. Together, they delve into the disconcerting pleasures of poetry and the mysterious unknowability of the mind. Mary Cappello: I’m thinking back to how we first met a few years ago: I had given a talk at Yale (from Called Back), and my host, Dr. Thomas Duffy, after hearing my reading, said I must meet you. 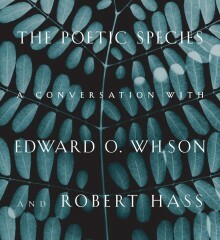 You had also given a reading (from Body of Work) in this same Humanities in Medicine series, and apart from the fact that we both live in Providence, I think Thomas heard in our writing a shared investment in working at the borders of poetry and prose; soma and psyche; voice and experience. What he didn’t know, and what surprised you and me when we first met, was that we were both also engaged at the time in writing about the bizarre phenomenon of foreign body ingestion. Maybe we could talk about what drew us each to this subject, and how our approaches to it cross over and depart. Christine Montross: I was so deep into writing that chapter, which turned out to be “The Woman Who Needed a Zipper,” andI remember getting a copy of your book Swallow and reading straight through it in a day or two. (Irresistible, in this context, to say that I “devoured” it, which I did) I was transfixed by the ways in which you and I had come to this subject from such different realms, and indeed, that we had followed different threads in investigating it, arriving at some shared and some widely divergent places in the end. I knew then that we would be friends! I’m now in the process of beginning a third book, which is about the criminal mind and the incarcerated mentally ill. It’s caused me to think about the common theme of disgust in my work. My first book, Body of Work, was about my experience of dissecting a cadaver in medical school. Falling Into the Fire aims—in part—to humanize mental illnesses that may first strike us as disturbing, or even repugnant. I’m drawn to look closely where the inclination is not to. That may come from my training as a poet—poetry, like medicine, asks us to look closely at the world and draw greater conclusions from that initial act of observation. But I do think that there is a process of desensitization inherent in medical training. You don’t want to come into the trauma bay of an ER and have the surgeon become emotional in response to your injuries. So I suppose my gaze toward more shadowy realms is driven by my interests, and made easier by my medical training. But what about you, Mary? Did your experience as a cancer patient, and then as a writer about disease and treatment in Called Back, lead you to be more receptive to writing a book about the body’s recesses? Or would you have been just as apt to write Swallow if you hadn’t been so recently and personally immersed in medicine and the body? Can you speak to the allure of the Mütter Museum and of the stories behind its creepy and wonderful objects? You and I share a delight in this stuff, but not everyone does. From whence does your attraction to it come? MC: There’s no question that the coincidence of writing Swallow and being diagnosed with breast cancer had a deepening effect in both directions: I found the lump in my breast just as I was in the first stages of writing Swallow. I know that being steeped in Chevalier Jackson’s world—those narratives, images, case studies—actually helped me to endure the procedures I was to undergo. There was even one moment when I was faced with an X-ray of a foreign body in my chest—a chemo port—and I began to speculate about the difference between a disease entity (like cancer) and a foreign body. When I returned to my work on Jackson post-cancer treatment, I came at the work with a different kind of fervor—maybe even a visceral one—and a deepened appreciation of Jackson and his legacy. But, yes, Christine, I was and would have been drawn to taking a tour of the gut with Jackson as my guide with or without cancer! I love your linking poetry to a willingness to be drawn to look closely where the inclination is not to—the idea that poets venture into territory where others fear to tread. I was also trained as a poet, and like you, my poems eventually morphed into forms of literary nonfiction. I want to get back to this matter of disgust, though, because I don’t think that poets are necessarily drawn to areas that might signify revulsion for some, the visceral, the off-limits, or taboo. I’ve been doing some thinking about aversion lately—I’m thinking that the opposite of aversion is interest, and maybe even love. People can exert a prurient interest in the specimens in the Mütter Museum, but an ethical interest in those specimens makes a different sort of demand and requires a different kind of attention. Of course, the former curator of the Mütter Museum, Gretchen Worden, was an inspiration to me; though I never had the privilege of meeting her, I’d heard her in interviews and in documentaries—she had a genius for bringing warmth, great erudition, and a kind of contagious sympathy to the otherwise seemingly ghoulish specimens in the museum. The poetry of the objects themselves was my point of entry: the cabinet of curiosity that Jackson made out of things that people had swallowed and inhaled. I didn’t really know much about the dark recesses—physical, sociological, and psychological—that these seemingly banal things would take me to, but I accepted the invitation. As far as an interest in the strange goes, I think a lot of my work proceeds from a basic psychoanalytic principle, which is that we are all strangers to ourselves, and that strange is a definition of human. You mention the desensitization involved in medical training, and I wonder if it’s not so much a matter of doctors ceasing to feel things as it is a matter of their being required to sense things differently. Doctors train their faculties in highly specialized ways—much like poets. Is poetry something you still “do” in your off-hours (of which, I’m sure there aren’t many), or would you say that your medical practice and your poetics are interwoven: I mean, is a poetic sensibility something that a physician (or, specifically, in your case, a psychiatrist) can bring to her practice? Or how about the ways that both poetry and psychiatry require a training of our ability to hear and to listen? CM: Writing poetry these days reminds me of the lake cottage I grew up going to in northern Michigan. The cottage wasn’t winterized. So as a child, I’d arrive with my family at the beginning of the summer, and we’d turn on the water, which had been shut off since Labor Day in order to prevent the pipes from freezing. When the water would first come out of the faucet, it would be full of sediment and rust. We’d let the faucet run and run until the rust was gone, and the water ran clear. For me, writing poetry is like that. I have to actively write poetry, or else rust accumulates in the pipes. If I go to the spigot after a long period of quiescence, the “water” that runs out onto the page is full of muck. To get the water to run clear, I’d need to let the murky water run awhile, but as you suggest, since I work as an inpatient psychiatrist and also am the mother of two young children, I rarely have the luxury of time to let the water flow. At the moment, the rust is winning! But I love to read poems, and to listen to them. I recently attended a reading by a group of esteemed poets including my dear friend Lizzie Hutton. There was a real, disconcerting pleasure in immersing myself in the language and the discourse of that crowd. Disconcerting because it was a reminder to me of how psychiatry—a discipline rooted ever more firmly in a tradition of medicine these days than in a tradition of psychology—loses something in its veering toward a clinical, logical, explicable, symptom-diagnosis-treatment-outcome realm. There is a mysterious unknowability to the mind that will persist even after our genetic mapping has laid bare the most fundamental elements of the body. Failure to acknowledge that mystery is perilous. I maintain that there should be an incomprehensibility of the mind and its failings. Even if we someday learn the precise neurologic changes that lead a twenty-year-old college student’s mind to shatter into schizophrenia’s terrible psychosis, we should—by mere virtue of the tragedy of it—still find its occurrence utterly incomprehensible. Poetry is more willing to inhabit this uncertainty, these contradictory truths. I know that you’re writing now about mood, a topic I’m constantly immersed in as a psychiatrist. But when we were last writing in shared territory—about the ingestion of objects—I was struck that you were sometimes more apt than I to consider the psychological themes at play. Are there times when you have felt that medicine’s antiseptic adherence to logic and facts and diagnostic algorithms is ignoring a larger, critical realm of reality, or truth? MC: You might feel like you’re not producing poetry right now, Christine, but I keep hearing poetry in the things you are saying: like this wondrous phrase, “disconcerting pleasure.” One of my aesthetic aims has always been to create forms of disruptive beauty. Maybe it’s those incompatibilities and contradictions you’re referring to that drive art but that science sometimes seems to deny or obscure. Maybe what scientific breakthroughs come down to is a willingness to entertain a different story, or to dispense with narrative conventions altogether. I feel this way, too, about the forms that writing, or art, can take in cancer’s wake. There’s the when and where of diagnosis, and there’s the feeling that time is both longer and shorter than any diagnosis. There’s time as we knew it—a habituated conformity or assuredness of day leading into night leading into day—and there’s life lived post-diagnosis as a series of eves, what I call “eve-time.” There’s the neat tally of a treatment trajectory: in my case, four surgeries, four dose-dense rounds of chemotherapy, seven weeks of radiation five days a week, five years of a combination Tamoxifen and Aromatese Inhibitors divided by two. That’s one way of telling it, this neatly quantifying grid. I turn to writing to tell it differently and to break a spell; to find a different language than the one at my disposal, to create a suite of tonalities—from absurdity through rapture—as alternative to the muzak offered by both medicine and the culture at large. You so eloquently make the case—it’s breath-taking really—your point that we fail to acknowledge the mystery of mind (or body) at our own peril. Is the crux of the matter the difference between explanatory discourse and exploratory discourse? Is there a difference between trying to explain a psychiatric (or medical) condition, crisis or state, and trying to find a form for it? Is this the nature of the science/art divide? The explanation has to support a practice. The impulse behind my mood book is somewhat similar to a book I wrote on awkwardness: I’ve chosen to take on a word that is everywhere pervasive but that remains relatively unplumbed. We talk about “moods” in a plethora of contexts—from psychology to politics to aesthetics—but I’m not sure that any of us really knows what we mean when we speak of “mood.” Without pinning mood down, I’d like to enter the unpredictable places it will take me to. Mainly, I want to follow mood as a language rather than reify it as a concept. Something of the wild has to be allowed to come through. I can muse all I want about mood, because I’m not licensed to treat people’s moods—though I very much hope to create mood states that a reader can enter into with my work. I realize, too, that as a psychiatrist, you hope to help to relieve people’s suffering. And no doubt this entails finding ways to help a person to control or manage or live with a condition without necessarily solving it. It seems to me that in your writing about psychiatry you do a different kind of work: you listen to what a person’s condition is saying to them and to you—what it is trying to signify. You consider what psychosis has to teach psychiatry. Am I right, or would you put this altogether differently? CM: The question you raise about listening to a patient’s condition—what it says, what it signifies—is an extraordinarily interesting one. In general, I’m deeply resistant to the idea of psychiatric illness as “signifying” something. I participated in an interdisciplinary academic conference on madness while I was beginning to write Falling Into the Fire. The discussion there was fascinating, but to my chagrin, several of the talks at the conference attempted to interpret psychiatric illness as a kind of symbolic experience. One speaker characterized schizophrenia as “a fragmentation of the capitalist self.” Another classified those who suffer from mental illness as “existential radicals.” I understand the wish to make meaning out of schizophrenia or suicide in the same way that we struggle to make meaning out of any tragedy. But I found myself over and over at the conference raising my hand to say, “People suffer. People suffer. People suffer.” When I think about my patients—a man whose psychosis causes him to fear his loved ones and believe that microchips have been implanted in his brain, a woman who feels so despondent that she wishes to drive her car off a bridge—I do not believe that their experiences signify anything other than unremitting desperation and disease. We can, of course, learn from illness, and from the experience of illness. But we must take care not to distance ourselves from it so much that we romanticize the experience of those who shoulder its burden. In a chapter of Falling Into the Fire called “Your Drugs Take Away the Love,” I discuss treating a young man whose symptoms verged more on euphoria than terror. My patient felt love emanating from inanimate objects, and sensed that he had achieved a powerful spiritual rebirth. But this sense of connectivity and power meant he also wasn’t eating or drinking, and was behaving in other bizarre ways, like urinating in Coke bottles and walking backwards along highways. I recognized even his pleasant symptoms—a state which George Eliot evocatively called “dangerous wellness,” and which famed neurologist Oliver Sacks has classified as a euphoric “hyperstate” or condition of “ominous extravagance”—as a warning of a crash to come. Of course, there is a tension in the question of which differences we pathologize and which we celebrate, and psychiatry has an inglorious history of badly missing this mark at times. Yet I think too often those of us who are comparatively sane take liberties in romanticizing the madness of Plath and Woolf and Sexton without adequately acknowledging that these stories end tragically—in ovens and rivers and garages—with brilliant women dead. MC: Maybe this brings us back around to the importance of vantage point, and to the disciplinary divides that are so difficult to bridge—the very reason for the need for conversation. There’s always something both enabled and occluded by the place from which we carry out our work. If we close by bringing into the picture our queer lives and loves, could that illuminate something that is worth sharing? Do our lives as women who are lesbians lead us to notice things we might otherwise not? CM: I was already thinking about Elaine Scarry’s writings as you and I have been chewing on this idea of the body—its unknowability, its failings. In The Body in Pain, she famously wrote, “To have pain is to have certainty; to hear about pain is to have doubt.” This is, it seems to me, a central question in many of the narratives you and I choose, from cancer to psychiatric illness: how to convey the reality of the experience of disease and suffering to our readers so that they can comprehend and trust in it? My life is interwoven in the fabric of my books. I may be at the bedside of a hospitalized patient on one page, and at home with Deborah and our children cooking waffles on the next. This is reality for me. My professional life—amidst the torment and trauma that my patients endure—is tempered by the joy and silliness and passion that I’m lucky enough to find at home. Because I happen to be married to a woman, my books invite readers to approach and engage with the theme of sexuality; and I welcome that. My point in all of this is to say: maybe—to riff on Scarry—writing the truth about my life with Deborah and our children is a means of tipping the scale of perception about families like ours away from doubt and more toward certainty. I think that’s happening in a broad-based cultural way in our country now, and I couldn’t be happier about it. MC: Comprehension and trust; certainty and doubt; disconcerting pleasure and the mysterious unknowability of the mind: I think we’ve struck upon those areas where medical practice, the art of reading, and the art of writing, meet. Dr. Christine Montross is Assistant Professor of Psychiatry and Human Behavior at the Warren Alpert Medical School of Brown University. She is also a practicing inpatient psychiatrist. She is the author of Falling Into the Fire: A Psychiatrist’s Encounters with the Mind in Crisis and Body of Work: Meditations on Mortality from the Human Anatomy Lab, a New York Times Editor’s Choice and one of the Washington Post’s best nonfiction books of 2007. 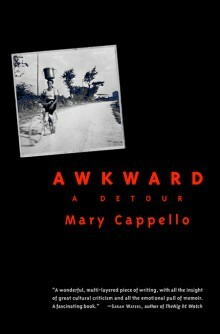 Mary Cappello is the author of four books of literary nonfiction, including Awkward: A Detour, which was a Los Angeles Times bestseller, Called Back: My Reply to Cancer, My Return to Life, which won a ForeWord Reviews Book of the Year Award and an Independent Publishers Prize, and Swallow: Foreign Bodies, Their Ingestion, Inspiration, and the Curious Doctor Who Extracted Them. Her work has been featured in the New York Times, Salon, Huffington Post, NPR, in guest author blogs for Powell’s Books, and on five separate occasions as Notable Essay of the Year in Best American Essays. 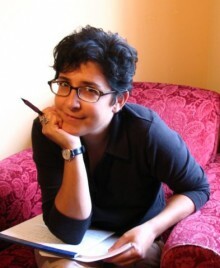 She is the recipient of a Guggenheim Fellowship in Nonfiction, The Bechtel Prize for Educating the Imagination from Teachers and Writers Collaborative, and the Dorothea Lange-Paul Taylor Prize from Duke University’s Center for Documentary Studies. Professor of English at the University of Rhode Island, she lives in Providence, Rhode Island and Lucerne-in-Maine, Maine.